Have you ever thought about your business as a way to serve God? Your business is where you put your time and where your treasures build. It is the main place where the actions in your life and spirit of God impact your community. The Bible says we are called to make disciples. (see Matthew 28:19) It is an ongoing action. In other words, we are to make disciples as we go. When we own a business all that we do becomes a way to serve God and spread His word. We are making disciples by being in business. Take time today to reflect on your impact for Christ. Are you striving to honor God and serve Him with all that you do? How are you honoring God each day with the way you run your life and business? What actions are you taking to make disciples as you go? As Christians, we should start everything with prayer. That is right! Evangelism begins with prayer. Make a list of people you know that do not know Christ as Lord and Savior, and start praying for them daily. Pray that the Holy Spirit will move on their hearts and point them to Jesus. Be very specific in your prayers. The Lord will use this to work on your heart as well. Another element of evangelism is loving people. The cornerstone of the Gospel is love. Your attitude is very important. It should show love and kindness even if someone gets crazy with you. The Gospel will make people feel uncomfortable. If someone starts to get a little too close, and you feel threatened, just walk away in love and start praying for them. When you are talking with people, you should love them to where you feel compelled to tell them about Jesus. Think about how many times you share with your friends about a great new movie or restaurant. You should have that same passion when sharing the Gospel. There are so many wonderful evangelism programs like Roman Road, Evangelism Explosion, Share Jesus without Fear, FAITH, The Story, and much more. Make sure the program points to the life, death, and resurrection of Jesus Christ. Other than that, it does not matter which one you choose. What matters is that you use that method to help explain what Christ has done for us. These programs are tools to help us spread the Gospel, but they are more than that. They will help you have a greater understanding of the Gospel. Learn it to the point where you can go over the outline in your sleep. Keep in mind there is not a perfect program, just a perfect Savior. Since evangelism is about proclaiming the life, death, and resurrection of Jesus Christ to someone, we must learn how to proclaim. While I was dating Sophia, before we were married, all my friends knew how much I loved her, because I could not stop talking about her. My friends knew the closeness I had with her. The same thing should go for your relationship with Christ. People should know that you love Jesus because you cannot stop talking about Him. They should know the closeness you have with Him. As Christian business owners, we must set goals in order to accomplish what God has in store for us. God wants us to succeed and He will give us the vision if you ask for it. Below is a simple 3 step process to create goals to actually work. Though we don’t talk about business goals because each business is significantly different, these principles can apply to any business goal you may have. If you have ever set New Year’s resolutions, you that too many goals at once will not work. You must set one goal and stick to that goal until it becomes a habit. It is that simple. Pick one goal and make it a habit. Take time to pray about your goal and see what God has in store for you. Let’s say you want to lose weight, make more money and take a vacation. That is three goals. Pick one and create habits to help you accomplish that one goal. If it is losing weight, you may want to start exercising, eating better and drinking more water. That is three habits for one goal: focus. Find a gym close by. Set up a routine at the gym with a free session from the staff. Set up a place to work out. Get an outline to basic exercises you plan on doing: Youtube, Online Print Out, App, etc. Buy any needed basic supplies: weights, mats, etc. Those three simple steps just got you started. If you get those accomplished in week one, you have some momentum to get you to the next week. Write these down and check them off. The sense of accomplishment will help you stick to that goal. Then, as you start going to the gym, start every other day, or twice a week. Then add a day each week until you are doing some exercise each and every day. You just need to schedule your day and make it a habit. Now that you have you goal broken down. Start taking action. Make it easy for yourself to take action. If your goal is to eat healthy, take time once a week to prepare and plan healthy meals. Get rid of all unhealthy foods so you are not tempted. That is a step one. Check it off, see what you have already accomplished! Let me give one more example, let’s say you want to go to the gym more regularly. Set a specific time each day. Put an alarm on your phone for a reminder. Set out your workout clothes each night for the next day. Get a partner to hold you accountable or hire a fitness coach. All of these become routine and routines become habit. Your business is where you put your time and where your treasures build. It is the main place where the actions in your life and spirit of God impact your community. The Bible says we are called to make disciples. (see Matthew 28:19) It is an ongoing action. In other words, we are to make disciples as we go. When we own a business all that we do becomes a way to serve God and spread His word. We are making disciples by being in business. Take time today to reflect on your impact for Christ. Take 10-30 minutes to really reflect on each of these questions. You may even want to adjust some of the day to day routines to better align with what God wants from you in your business. 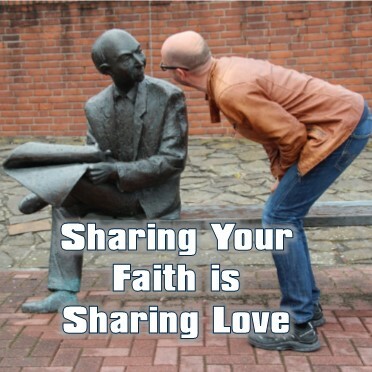 What does it require to share your faith? As Christians in business, we always have opportunities to share the gospel of Christ. You may not use the word evangelism, but in essence that is what you are doing each time you care for someone in your business and represent Christ to them. Today, I am proud to share a bit of writing from a friend. Justin James is starting a new ministry of evangelism. He wrote a thought provoking article about what it takes to share your faith. As Christians, we should start everything with prayer. That is right! Evangelism begins with prayer. Make a list of people you know that do not know Christ as Lord and Savior, and start praying for them daily. Pray that the Holy Spirit will move on their hearts and point them to Jesus. Be very specific in your prayers. The Lord will use this to work on your heart as well. Another element of evangelism is loving people. The cornerstone of the Gospel is love. Your attitude is very important. It should show love and kindness even if someone gets crazy with you. The Gospel will make people feel uncomfortable. If someone starts to get a little too close, and you feel threatened, just walk away in love and start praying for them. When you are talking with people, you should love them to where you feel compelled to tell them about Jesus. Think about how many times you share with your friends about a great new movie or restaurant. You should have that same passion when sharing the Gospel. There are so many wonderful evangelism programs like Roman Road, Evangelism Explosion, Share Jesus without Fear, FAITH, The Story, and much more. Make sure the program points to the life, death, and resurrection of Jesus Christ. Other than that, it does not matter which one you choose. What matters is that you use that method to help explain what Christ has done for us. These programs are tools to help us spread the Gospel, but they are more than that. They will help you have a greater understanding of the Gospel. Learn it to the point where you can go over the outline in your sleep. Keep in mind there is not a perfect program, just a perfect Savior. Since evangelism is about proclaiming the life, death, and resurrection of Jesus Christ to someone, we must learn how to proclaim. While I was dating Sophia, before we were married, all my friends knew how much I loved her, because I could not stop talking about her. My friends knew the closeness I had with her. The same thing should go for your relationship with Christ. People should know that you love Jesus because you cannot stop talking about Him. They should know the closeness you have with Him. 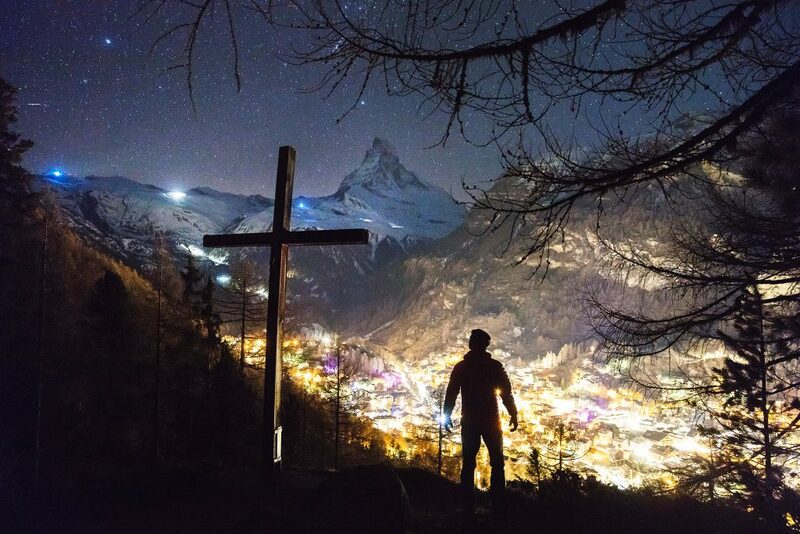 You may ask, “What about the rejection that comes with talking about Christ?” As one pastor has put it, “If you are not being rejected because of your faith in Christ, then something is wrong with your faith.” There is a balance. Do not find yourself in left field doing something crazy or ludicrous, but also remember we are members of His Kingdom and we should not be ashamed of Christ. Be very clear in your message and then invite them to Christ. You can ask, “Would you like to receive Christ Today?” or “Are ready to make Jesus Lord and Savior of your life?” You must invite if you are going to proclaim. 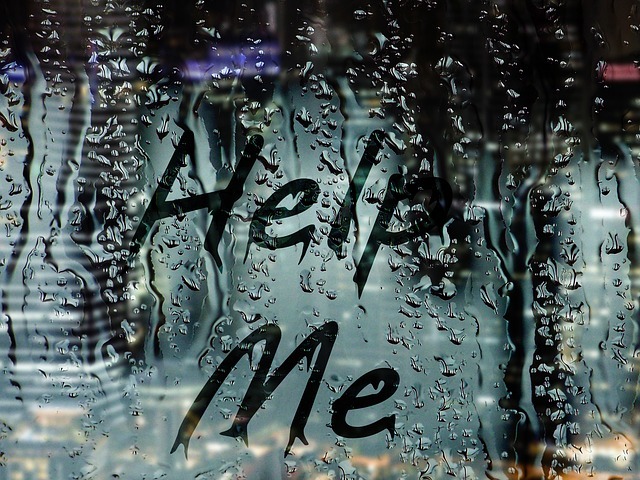 The saddest thing that can happen is for someone to have heard the Gospel message, and to have been ready to receive Christ, but never did, because they were never invited. Jesus always invited people to follow Him. We should never forget the invitation as part of evangelism. Allow the Holy Spirit to move. The job of the Holy Spirit is to bring people to Christ. Evangelism is not a numbers game. It is about God transforming lives and knowing we have a secure place in heaven. Two things are 100% guaranteed in our lives: to be born and to die. The Lord may have placed you in the path of someone’s life just to tell him or her how Christ overcame sin on our behalf. Romans 4:25 says, “He was delivered up for our trespasses and raised for our justification.” I hope these things will help you share our beautiful Lord and Savior with the world. If you have any questions, feel free to contact Justin James. As Christian business owners, we must set goals in order to accomplish what God has in store for us. God wants us to succeed and He will give us the vision if you ask for it. Below is a simple 3 step process to create goals to actually work. Though we don’t talk about business goals because each business is significantly different, these principles can apply to any business goal you may have. If you have ever set New Year’s resolutions, you that too many goals at once will not work. You must set one goal and stick to that goal until it becomes a habit. It is that simple. Pick one goal and make it a habit. Take time to pray about your goal and see what God has in store for you. Let’s say you want to lose weight, make more money and take a vacation. That is three goals. Pick one and create habits to help you accomplish that one goal. If it is losing weight, you may want to start exercising, eating better and drinking more water. That is three habits for one goal: focus. Though I do not suggest eating elephants, the ol’ saying goes, “How do you eat an elephant?” The answer, “One bite at a time.” Once you have one goal, break it down into ‘bitesized’ chunks. Those three simple steps just got you started. If you get those accomplished in week one, you have some momentum to get you to the next week. Write these down and check them off. The sense of accomplishment will help you stick to that goal. Then, as you start going to the gym, start every other day, or twice a week. Then add a day each week until you are doing some exercise each and every day. You just need to schedule your day and make it a habit. Now that you have you goal broken down. Start taking action. Make it easy for yourself to take action. If your goal is to eat healthy, take time once a week to prepare and plan healthy meals. Get rid of all unhealthy foods so you are not tempted. That is a step one. Check it off, see what you have already accomplished! Let me give one more example, let’s say you want to go to the gym more regularly. Set a specific time each day. Put an alarm on your phone for a reminder. Set out your workout clothes each night for the next day. Get a partner to hold you accountable or hire a fitness coach. All of these become routine and routines become habit. The more you can make your action steps a simple routine, the more they become a habit. 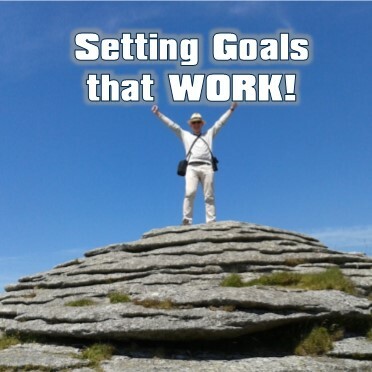 When a goal goes from ‘I have to do this’ to “Oh, this is what I do” you have won the game of setting goals. Goals are simple if you make them part of who you are. Praying and setting goals that would honor Him is always a good start. God wants us to be healthy, we just have to believe we can be healthy. God wants us to be successful, we just have to believe we can do what God called us to do. God called you into business. Set your goals, focus, break them down and take action. The rest will fall in line.